Boca is a beautiful vacation spot- it was one of our family’s all-time favorite trips! If you’re considering going in the summer, as we did, the heat can get oppressive, so be sure to have access to a pool or ocean. We enjoyed a week in Boca in August, and spent most of our days swimming, but we did get out on some great outings too. Shabbos was beautiful and relaxing and hot, so bring lots of board games. This is a fun-packed full day trip that includes both the safari and the Safari Adventure Park for a reasonable price for what it offers. We drove slowly through the safari and enjoyed the animals that came right up to the cars, including huge tortoises, rhinos, zebras, giraffes, ostriches, etc. Made for awesome pictures! Then we continued to the adventure park which had a small pond with boating, lots of small rides, mini golf, and many other fun free attractions. There is also an area where you can hand-feed the giraffes ($2.50)! They had a waterpark section too, which we didn’t visit, but if you can get there before the crowds, it looked enticing for a hot Florida day. 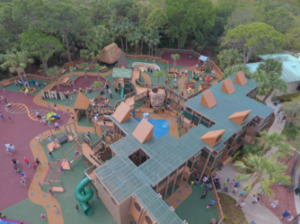 This is a fun park with lots of free attractions including educational and fun exhibits for the kids. The Community Center in the park, houses the Children’s Science Explorium (geared to kids ages 5-12), the Willow Theatre, and the Field House, which has an indoor gymnasium. The science Explorium is free with a suggested $5 donation. The park also has a carousel ($1 per rider), nature trails, and a beautiful playground with climbing structures. Playgrounds were not so much fun when was little! The indoor explorium is a nice break from the heat, and after enjoying the playground, the kids can cool off again in the splashpad. This is an interactive science museum not far from the Ft. Lauderdale beaches. 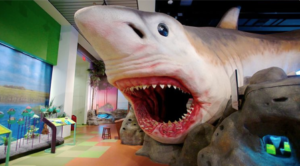 They have a lot of hands-on discovery/play type of exhibits, as well as an Imax theater. They have a beautiful, new outdoor science park too, which is excellent. Tip: Try to have as many adults on hand as kids because the kids will be interested in different exhibits and will play at different paces. Also note that they ask you to get in line for the imax 30 minutes before showtime, but 15 minutes was more than enough time. Do you have sports addicts in the house? Have you ever taken the kids to a minor league game? 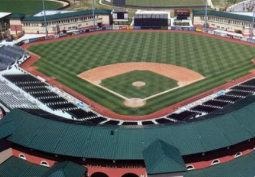 Go enjoy a trip to the stadium in Jupiter, Florida. In the Spring season, when the crowd is smaller, you can often get lucky catching a foul ball or two. And you can also get up close to chat with the players. Is your idea of a vacation eating out once to twice a day? Then Boca is a great vacation choice for you! Mozart Cafe-next door to Asia. Delicious dairy! Grove Kosher Market- incredible takeout sections, even for NY standards. Beautiful variety of dairy and meat prepared foods for shabbos, suppers, Etc. Winn Dixie- nice big store with a kosher bakery and small deli. Click here to see a comprehensive list of ORB approved kosher restaurants. Try AirBNB or Homeaway.com for some great deals on homes with pools.